Join co-hosts Mark McNease and Rick Rose as we talk about the midterm election results, a renewed hope for sanity in governance, and the week in headlines. LISTEN FOR MARCH'S WORD OF THE MONTH! Be the third person to identify the word and win an Amazon $25 gift card. Join co-hosts Mark McNease and Rick Rose as we take a look at Trump's Bible book signing, trends in Lent, rightwing nutjob judges, and the week in headlines. NEW AT THE TWIST: You can now subscribe directly to The Twist Podcast for a handy email with each new show AND GET A FREE COPY of the fan-fave murder mystery 'Black Cat White Paws: A Maggie Dahl Mystery' when you do! Join co-hosts Mark McNease and Rick Rose as we share our listeners' top 5 national emergency wish list, discover the best places to snowmobile, and take a Twisted look at the week in headlines. NEW THIS MONTH: Win a $25 Amazon gift certificate by being the first listener to identify our Word of the Day and email it to us at: TheTwistPodcast @ Outlook.com! We'll be offering this giveaway each month only on The Twist. Join co-hosts Mark McNease and Rick Rose as we learn how to pronounce Democratic contenders' names, Pelosi's curtain counter-offer, travel spots in Wyoming, and the week in headlines. Join co-hosts Mark McNease and Rick Rose as we take a look at the dark legacy of Neverland, the most mediocre Super Bowl ever, Pelosi's SOTU clap back, and the week in headlines. Join co-hosts Mark McNease and Rick Rose for our first podcast of 2019 as we talk about Nancy Pelosi's long knives, the just-announced Oscar noms, and another crazy week in headlines. Join co-hosts Mark McNease and Rick Rose as we talk about another Christmas come and gone, the year in review, and what to dread in 2019. 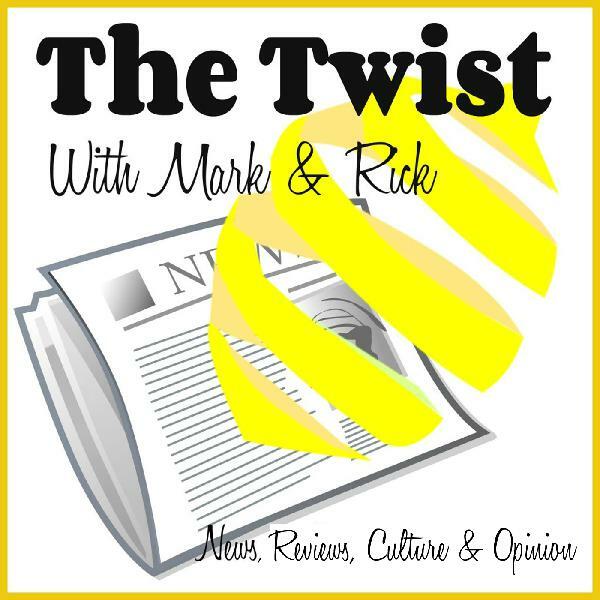 Join co-hosts Mark McNease and Rick Rose as we talk about the judge who struck down healthcare, candles that smell like kids' memories, and the week in Twisted headlines. Join co-hosts Mark McNease and Rick Rose as we talk about AIDS at 35, the silence of the Facebooks, CASA cares, and the week in Twisted headlines. Join co-hosts Mark McNease and Rick Rose as we talk about cat behavior (and a behaviorist), fabulous art houses you must visit, Horseface Nation, and the final rush to the midterms. Join co-hosts Mark McNease and Rick Rose as we share reviews of Lambertville, New Jersey's epic Halloween showdown, the Louisiana Film Prize, and a dip into politics with Susan Collins destroying any hint of a legacy.